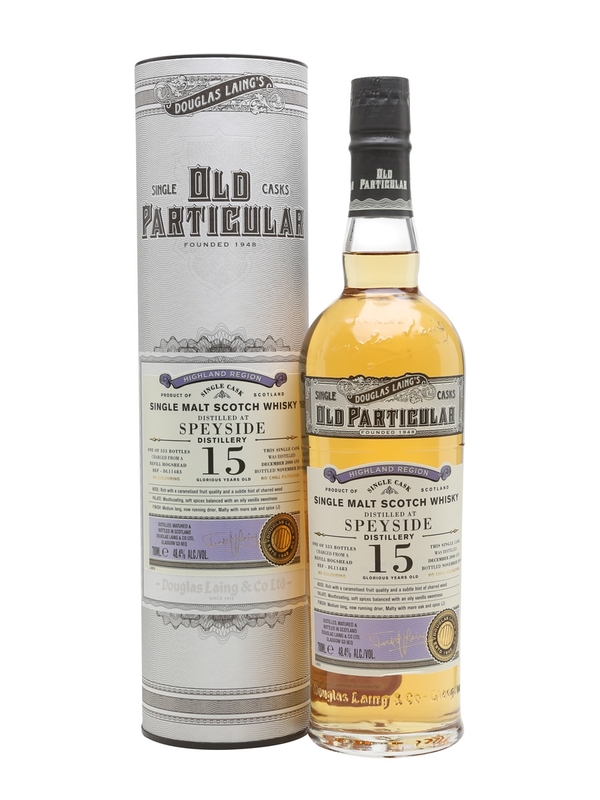 From Douglas Laing comes this refill hogshead with the cask number DL11483. Only 333 bottles were made. Fresh green apples and marzipan sweetness in the smell. A little bit different from the normal marzipan sweetness you get from ex-Bourbon matured whiskies. Things changes dramatically in the taste! Loads of herbs! Almost Gin-like. The finish gets it a bit back on track though, with vanilla sweetness and fresh white fruits. Actually very smooth finish, and the first place where the age really shows. I am not sure I would have guessed this as a whisky looking at the taste alone. The smell and finish helps a bit, but doesn’t change the fact that it was a bit too weird for my palate to end up with a high score. Maybe personal preference to some extent, but I’ve had better from Speyside Distillery… I will give this 78/100 (21/18/20/19).